A few weeks ago I attended a workshop sponsored by the Wisconsin Department of Natural Resources on the management of our landscapes for wildlife. When we think of wildlife in “our habitat” areas we often think of raccoons, chipmunks, deer, squirrels, rabbits, maybe even coyotes. You may be surprised to know that we have 159 species of mammals in Illinois, mostly rodents, but almost three times the number of bird species. By my count, we have 448 bird species that have been found in Illinois. Our unique mix of habitats account for this vast collection of species, containing 16 birds of prey, including the Bald Eagle. When we take that all into account, the wildlife that can benefit most often from our landscape management mindfulness are our winged friends. Most of the mammals that call Illinois home are stars at adaptation and so we do not have to manage to help them, we often have to manage to keep them from being a nuisance. All of us who are avid gardeners know the trials of keeping deer, chipmunks, and bunnies out of our vegetable and flower gardens. However, we may not think of the way we landscape, as a way to help the many birds that live or pass through Illinois while on their long migrations across North America. At Arborsmith we have begun to think differently about the possibility of leaving large deadwood in some trees that will not present a hazard to provide habitat for the owl species that live in Illinois. 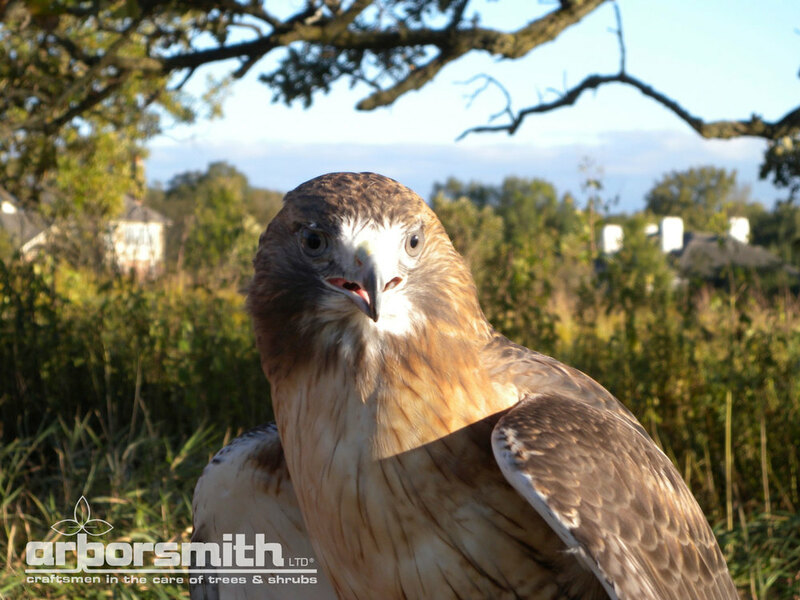 Those birds of prey can go a long way in keeping the rodent populations in check. Even our threatened bees, butterflies, and other pollinating insects have struggled with the reduction of habitat and food sources due to housing and agricultural development. 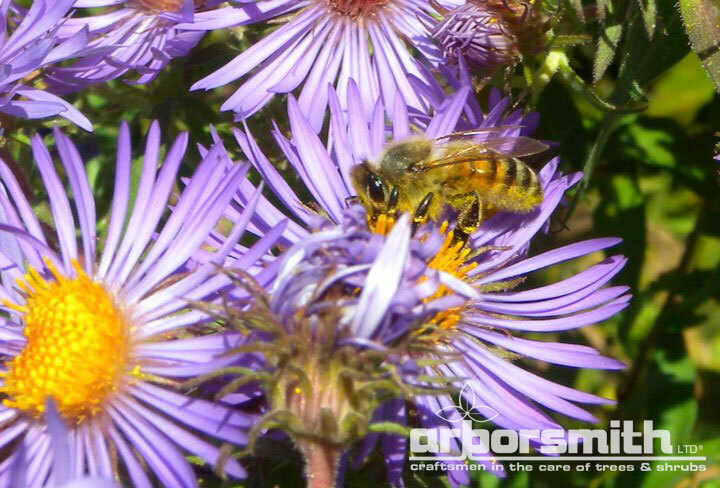 We can do a great deal to assist all these flying friends by thinking about planting “native plant pockets” in our landscapes, and refraining from the use of sprayed insecticides. All these creatures need food, water, shelter and space. Every little bit helps and as a bee keeper, I thank you!